On the night of Thursday, Dec. 6, CU’s first improv troupe for women and non-binary students received a standing ovation following their debut comedic performance. Fourteen performers shared bits on the stage, thoroughly impressing the nearly-full audience packed into Hale 270. Late Notice was formed this semester by students Shruti Kaul, Camille Sauers and Sara Cooley, who saw the need for a space where women and non-binary students can cultivate the skills needed to do well at improv in a welcoming environment. 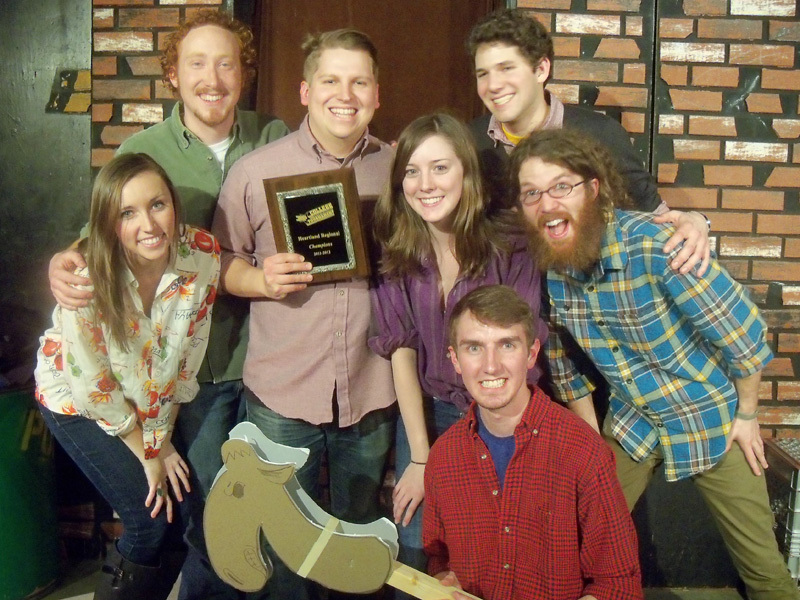 Similar feelings were expressed by other members of the troupe, many of whom have previously or currently belong to other improv groups on campus. “There was this real palpable feeling of wanting a space where we weren’t overshadowed, and wanting a space where we could be encouraged in a specific way,” Kaul said. Kaul explained the tedious process she undertook which culminated in the evening’s performance: becoming a registered student organization (RSO), petitioning the Center for Student Involvement (CSI), advertising and hosting auditions as well as coordinating other details. Kaul credits her friends and fellow troupe mates for helping her navigate the process and get the idea off the ground. “I am so proud of us … that we were able to make this team happen, make this performance happen,” Kaul said. During their one-hour show, the group played audience participation-oriented games such as “poetry” and “one-liners” which use words as the basis for storylines to build from. The troupe transitioned from bits about astrology fanatics and negligent parents to rants about bowls and modern takes on the seven dwarves from Snow White. Similar sentiments were shared by student Owen Zoll, who also came to support friends in the troupe. Zoll heard of the idea for a new team from Kaul and was pleased to see it come to fruition. The crowd loved the show and blew him away, he said. Late Notice will have their second performance within the first few weeks of the spring semester. Contact CU Independent Managing Editor Heidi Harris at heidi.harris@colorado.edu.